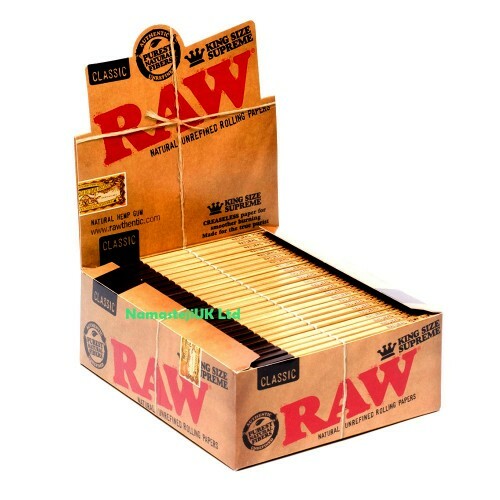 RAW supreme classic kingsize rolling papers unbleached. RAW present their revolutionary unbleached rolling paper in the form of Kingsize supreme which are presented unfolded in a snazzy wide booklet. Crease-less paper is favoured by many as it permits smoother burning, plus you can always fold a sheet if you fancy a change. Made from a proprietary blend of unbleached and natural fibres, RAW rolling papers is the perfect choice for the smoker who is looking for a more natural rolling paper. Made so thin that you can see through the natural brown hue. 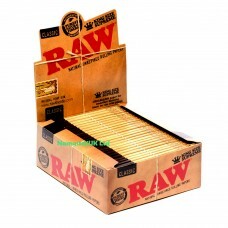 Features RAW classic supreme kingsize slim rolling papers.